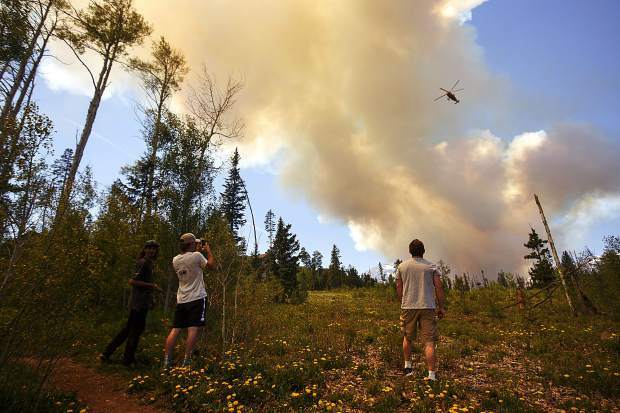 A wildland fire spreads in the Wildernest neighborhood Tuesday, June 12, near Silverthorne. 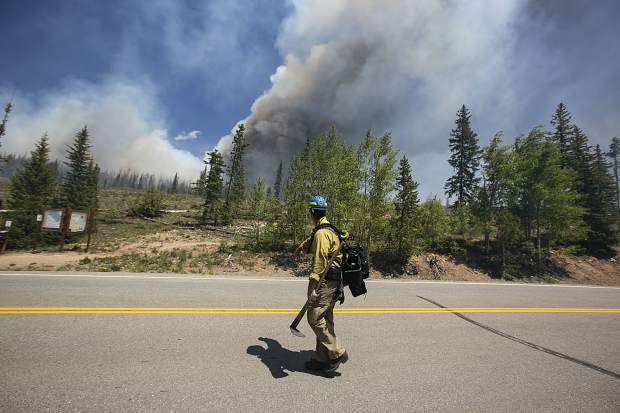 Summit Fire and EMS's firefighter arrives at the scene of a wildland fire in the Wildernest neighborhood Tuesday, June 12, near Silverthorne. 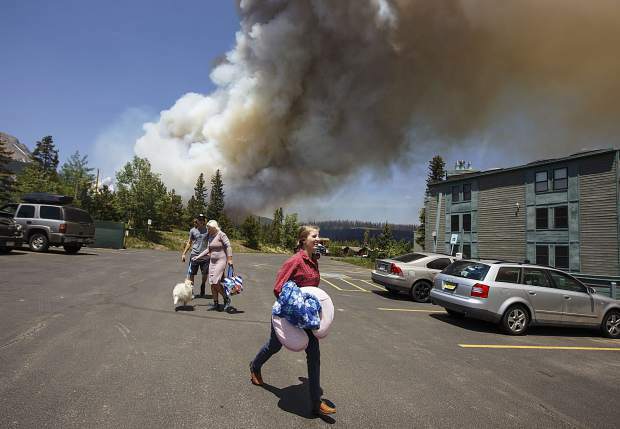 Residents evacuate their homes as a wildland fire approaches in the Wildernest neighborhood Tuesday, June 12, near Silverthorne. 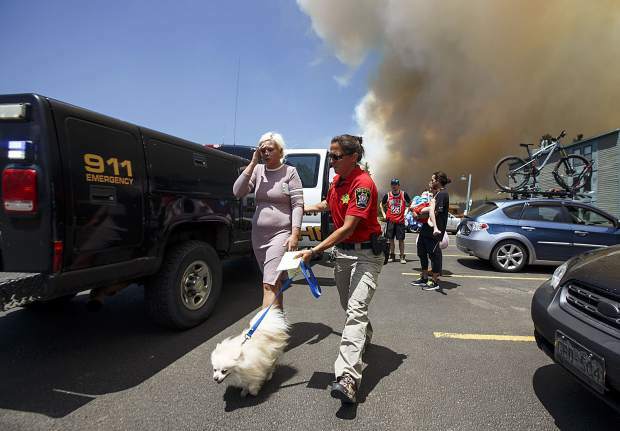 Lana Eltsova and her dog Pompon evacuate their homes with help from Summit County Sheriff Department's Erin Sirek as the wildland fire approaches in the Wildernest neighborhood Tuesday, June 12, near Silverthorne. 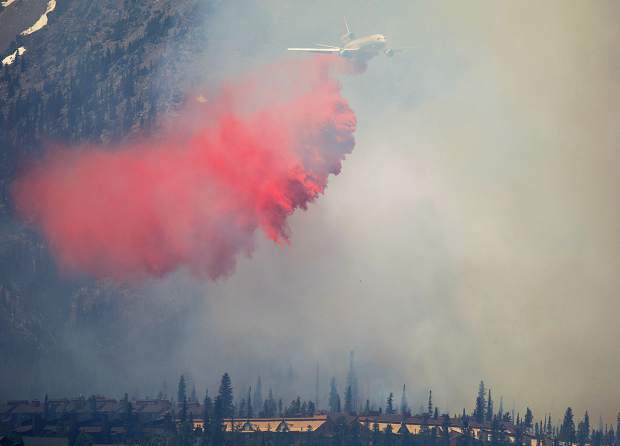 A fire retardant aircraft flies over the wildland fire in the Wildernest neighborhood Tuesday, June 12, near Silverthorne. 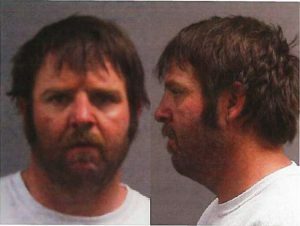 As FitzSimons was speaking, 9-1-1 calls started flooding in. 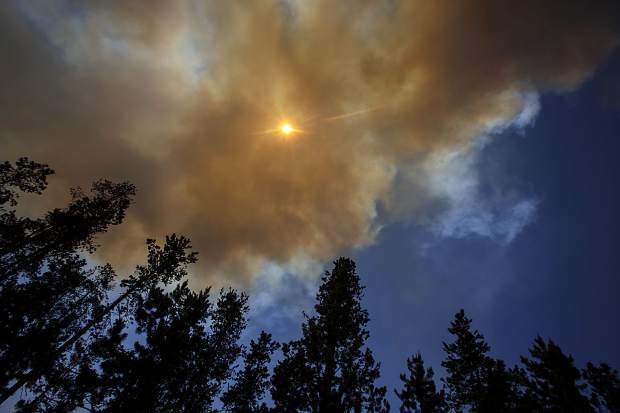 A small plume of white, wispy smoke was seen coming off the east slope of Buffalo Mountain, within a few hundred yards of the Mesa Cortina and Wildernest neighborhoods near Silverthorne. The location of the fire happened to be in the exact location for a full-scale wildfire readiness exercise that was planned for later this month. At an afternoon press briefing, authorities reported that the fire had not yet burned any homes, and that fire mitigation efforts over the years had managed to keep the flames out of the neighborhoods, for now. All homes uphill from 20 Grand Road were ordered evacuated, while residents downhill are still under a pre-evacuation notice. 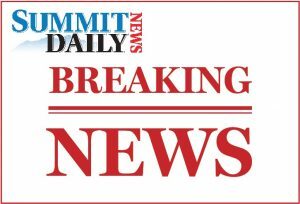 Evacuees were shepherded to the Silverthorne Recreation Center, where they stayed until moved in the evening to an overnight shelter set up at Frisco Elementary School. Edgar, a 5-year-old Schnauzer-Poodle mix, was still in her house. 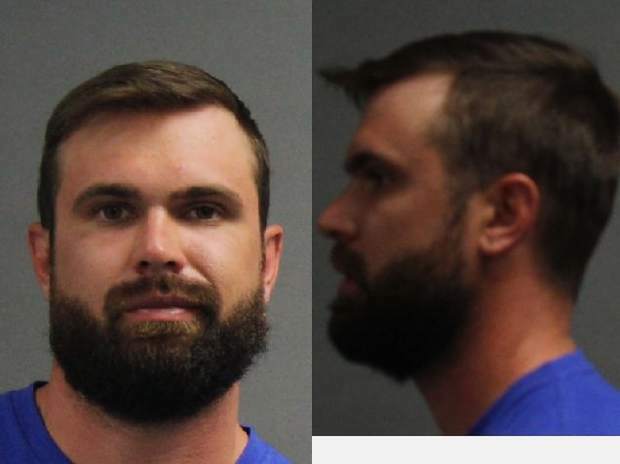 Greathouse said her neighbor managed to get Edgar and a few things out of their house. Safe and sound, Greathouse said they’re just waiting and hoping her home will still be standing when they get back. Greathouse said that while she was concerned, she wasn’t despairing since she already had everything she needed. “We’ll make it, we got each other, we got Edgar,” she said. The proximity of the fire to homes triggered a firefighting blitzkreig from local, state and federal responders. A half-dozen heavy air tankers and three helicopters have been deployed to provide air support for over a hundred firefighters and an array of heavy engines on the ground to knock down the fire before it gains any more strength. Fire officials said that the neighborhoods were looking “pretty good” as fuel breaks have acted like a moat around the neighborhoods. The fuel breaks are part of a years-long fire mitigation effort by the U.S. Forest Service to create defensible space around homes and neighborhoods. The Buffalo Mountain Fire is already larger than the last wildfire in Summit County, the Peak 2 fire near Breckenridge last summer. That fire saw a similarly explosive start and grew to 84 acres before firefighters managed to snuff it out. 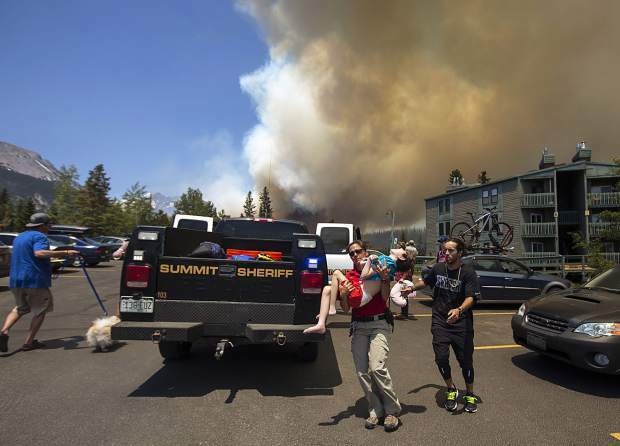 While Breckenridge was threatened, that fire did not come as close to homes as Tuesday’s. 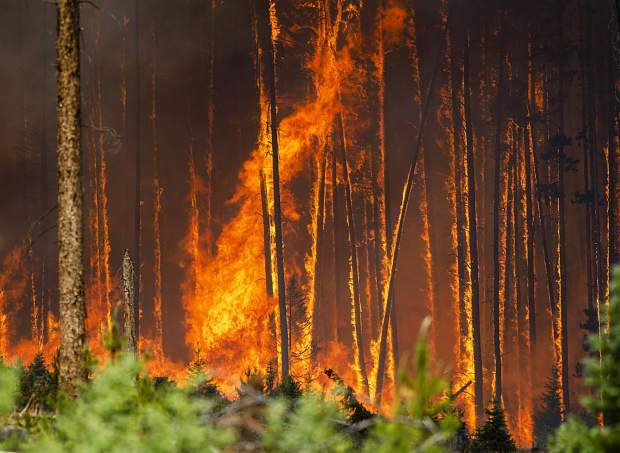 Authorities have been warning the public about an explosive 2018 wildfire season for months, as a short, dry winter has turned forests all over the state into giant tinderboxes. 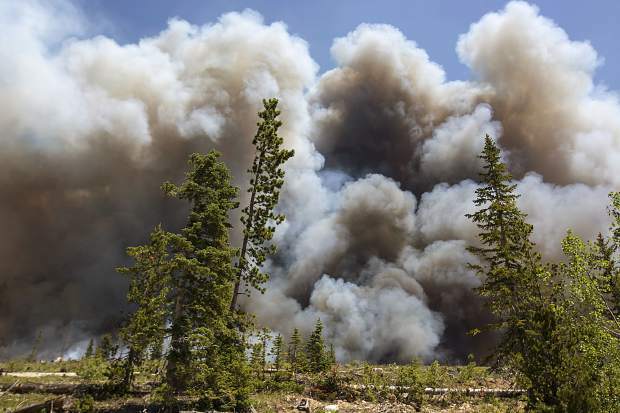 Several fires were already raging in the state before Buffalo Mountain; the 416 fire near Durango has been burning for nearly two weeks and grown to over 23,000 acres with only 15 percent containment, while neighboring Eagle County is wrestling the Bocco fire which has grown to 415 acres and is 50 percent contained. The San Juan National Forest has been closed to visitors as southern Colorado deals with some of the driest, hottest conditions on record. At a community meeting on Tuesday, officials did not give a containment estimate for the fire, explaining the priority was to protect structures and lives. 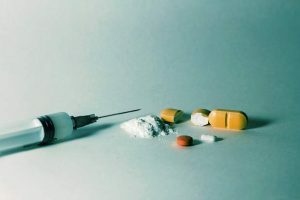 Once that’s done, details of the containment will be revealed, but officials warned it may take at least a few days to knock the fire out completely. Gov. 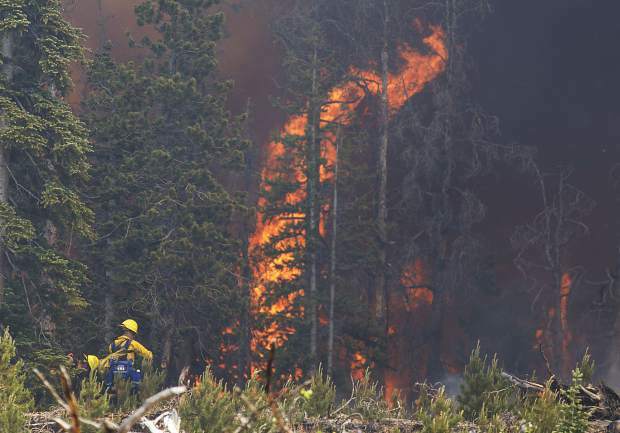 John Hickenlooper issued a statement Tuesday afternoon about the fires raging across Colorado, assuring residents the state is doing everything it can to keep them safe. 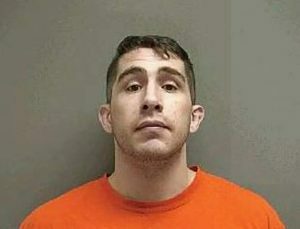 Eli Pace and Sawyer D’Argonne contributed reporting to this story.